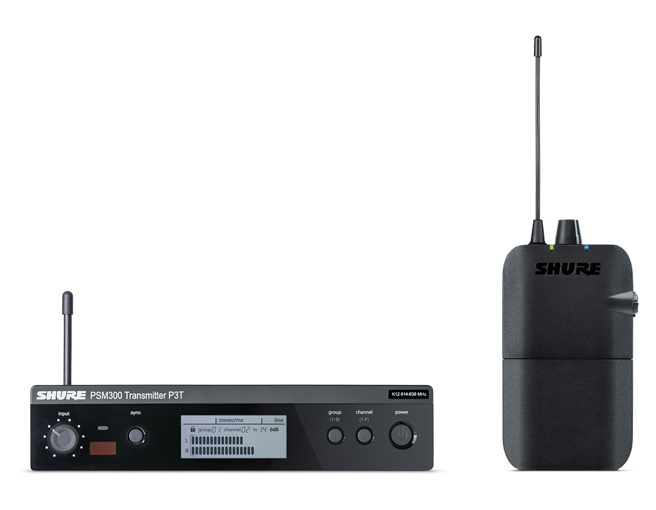 The P3T is a wireless transmitter - Dependable wireless transmission and 24-bit digital audio deliver a superior personal monitoring mix for every performance. Send 2 channels of audio to a bodypack receiver up to 90 meters away, with patented Audio Reference Companding to ensure transparent sound quality with no artifacts or dropouts. The rugged, half rack transmitter features easy front-panel controls including one-touch sync and input level knob to enable quick setup and easy operation. Rear-panel balanced inputs and loop outputs provide versatile connectivity to audio sources and other P3T units. The P3R is a wireless stereo bodypack receiver - With 24-bit digital audio clarity and up to 90 meters of range , the P3R offers reliable wireless freedom that covers every corner of the stage. Simply connect a set of earphones and adjust the controls to create a wireless personal mix. Patented Audio Reference Companding ensures the clearest sound, with ultra-low noise and no artifacts. Use MixMode technology to customize the mono blend from two channels of audio, or select stereo mode and adjust the left / right balance as desired. One-touch frequency scan and automatic frequency selection enables quick setup and connection to a P3T transmitter via IR sync. 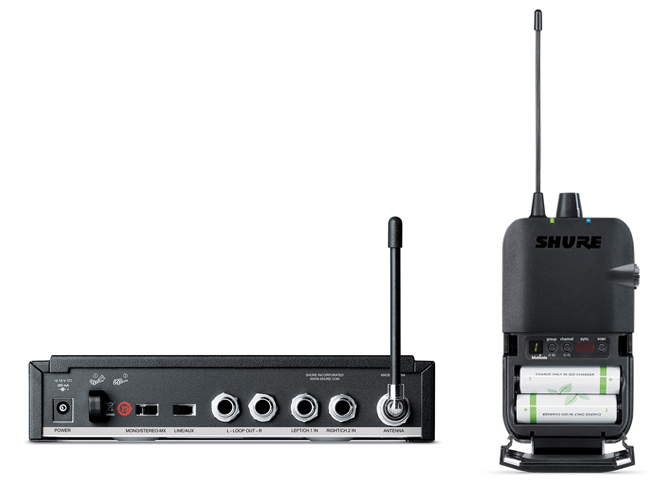 You can also kit out the whole band with extra optional wireless receiver bodypacks!